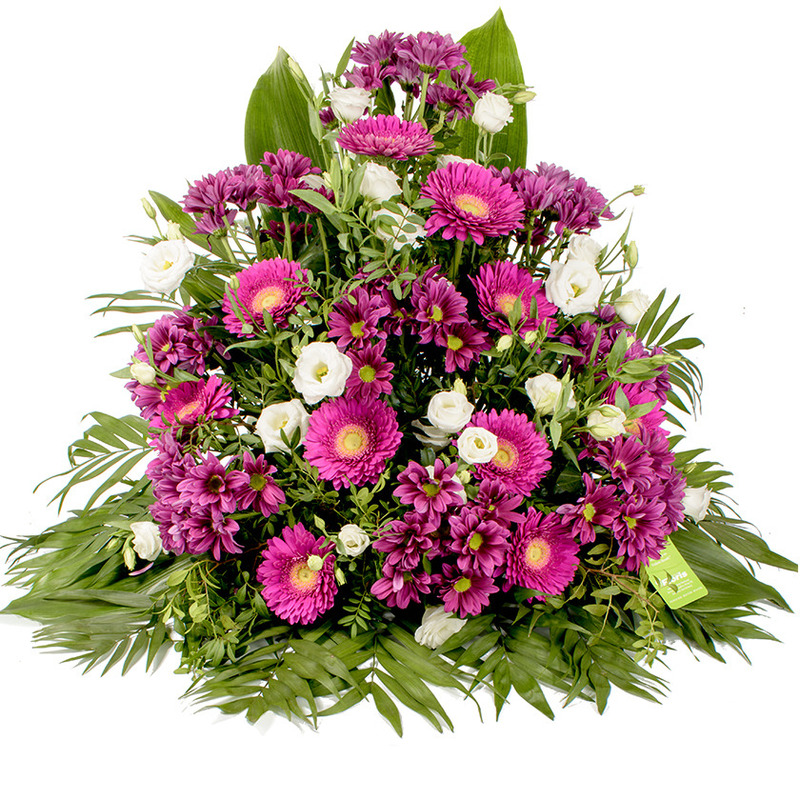 Arranged funeral spray of gerbera (various variety), chrysanthemums, white eustoma and greens. It has the shape of a pyramid and it is designed to stand. Dimensions ca. h 70 x w 75cm.